Ask fellow campers about "Prairie Creek COE" and nearby attractions. Nice Corp of Engineer park with lots of campsites, all back-in. Reserve on line and check in at the gate which can get backed up as there are many boaters and day use folks trying to get in. Roads are easy to navigate. The area is wooded. Our site was level; some sites did not appear so especially the older sites near the lake. Electric 50A or 30A available and water hookup, no sewer but a dump station is available. There is plenty to do- swimming, boating, fishing, hiking, bicycling. Staff are friendly. We were impressed with this park and would definitely come back. We camped at Prairie Creek COE in a Fifth Wheel. Grocery not too far. Visit the Walmart museum and Crystal Bridge Art Museum complete with Frank Lloyd Wright house in Bentonville. New Providence Brewery was good. Steep grading getting into park. Sites are very small, very tight and most are not level. A lot of trees that should have been cut down too close to sites so hard to park RV. Many have deep drop offs so when you step out of your RV you have a 2 to 3 foot drop off. Don't take a 32' 5th wheel in to the park without checking out all the sites before you go. Sites not build for large RV. People were nice and helpful. We camped at Prairie Creek COE in a Fifth Wheel. Crystal Bridges great place to visit. This is a beautiful park and we really enjoyed it. A couple of issues did arise. First, there was no dumpster anywhere near our campsite. (77) luckily we did not make much trash and were able to dump it on our way out. Normally we camp with a lot of people and this would have been an issue. Second, the sites are very unlevel. We had to work hard to level our motor home. We loved the park though and will be back. We camped at Prairie Creek COE in a Motorhome. I normally really enjoy the place but, the last couple of years, not as much. In a place like Arkansas you would expect friendly southern hospitality. The folks who run the booth seem as though they are out of touch with the local culture. The ones who drive the golf carts are also on the rude side. We had a heated conversation early in the morning when the guy was really sure that we didn't pay for our 2 day stay. Guess what, he had to come back and try to apologize after he did what he should have done to begin with and check his records. On one of his 3 trips to argue with us he could have gone and cleaned the restrooms which is infested with spiders and what not. For $20 a day or more you would think that they would be a little more on the ball. If you try to call the Corp to voice your complaint you are wasting your time. Maybe if they get enough reviews they will replace their staff and start running a better park for the price. 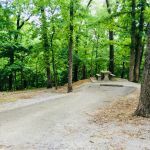 We camped at Prairie Creek COE in a Travel Trailer. Nice Park. We stayed a week and enjoyed ourselves immensely. 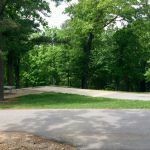 Park is about 45 minutes from Eureka Springs and close to many attractions. Nice cave tours in the area. We camped at Prairie Creek COE in a Fifth Wheel. We were so disappointed in our stay at this park! The grass was up to our knees/overgrown, un level sites, and not enough shade. The park was laid out so badly that it was difficult to even drive in. There were flush toilets but the ones closest to us were not the flush kind. We did enjoy the lake but it was way better than the camp ground! We camped at Prairie Creek COE in a Motorhome. The marina was so close but you couldn't walk to it easily! There was a restaurant there also. Nice campground on Beaver Lake. We took the recommendation to book one of the sites, 72-77 which can handle the larger RV's. Sites were shaded and well maintained. If you are looking for waterfront this campground does not offer it. Most of the sites do not have a view of the lake but it does have a boat ramp and marina. The marina was great with boat rentals and a restaurant. You will need transportation to get from your site to the lake unless you book one of the sites near the day use area. Beaver Lake is beautiful. We camped at Prairie Creek COE in a Motorhome. 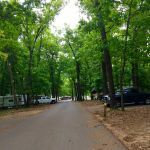 This is a great campground to stay at and visit the area. It's just outside Rogers. There are lakeview sites. However, the only sites that are big rig friendly are the ones in the 70's. You will find plenty of sites that are long enough, but the access is either too steep or you have a very small turnaround loop; stay in sites 72-78. There is only one shower house in the whole park (bathrooms on each loop), the showers are new and clean. We camped at Prairie Creek COE in a Fifth Wheel. If you are camping in a tent, pop-up, truck camper or small trailer, this is a good choice for you. It is a nice shaded campground with lake access. Even then, the bathrooms only have 2 stalls, no showers and have bugs and cobwebs. Many sites have no water, and many sites are small and not level. We travel in a 36' motorhome and had a difficult time just driving around the park, to find a level site that we could back into. So we gave this a 5 rating for a Motorhome, for "campers", it could be an 8. We camped at Prairie Creek COE in a Motorhome. 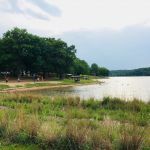 This is a beautiful campground on Beaver Lake. The sites closest to the swim beach and marina are heavily shaded and have great views of the lake. The water is very clear and the beach and facilities were well maintained. While many of the sites are large and easy to navigate, there are also many more which are amazingly small and completely unsuited for even medium sized rigs. Some of the loops would trap anything larger than a car and a pop-up so be aware before starting down any smaller loops (sites 90-112 are small). There are two areas which are suited for medium/large units. The first is near the swim beach (sites in the 50's) and there is another loop with sites specifically for large rigs (sites 81-89). If you're tent camping, all of the sites are great. Pros: lots of shade, beautiful beach and lake Cons: some of the sites/loops are very tight and unsuitable for anything bigger than a pop-up. We camped at Prairie Creek COE in a Travel Trailer. This is a really old Corps park. Sites are not leveled, in fact the dump station is even on a hill. We had to move to 3 different sites to get our motorhome level without having the rear wheels off the ground. Sites were paved and spacious and the campground was very quiet. Lots of trees so satellite can be a problem. Our Verizon cell worked fine. We camped at Prairie Creek COE in a Motorhome. This is also a Corp of Engineer park let me first state we normally love Corp parks. This is the first time we ever had complaints. They have 2 shower houses with only 2 stalls in each one but one shower house was down completely. To me this is a health issue. We asked the campground host since we have an outdoor shower head could we buy a little portable shower house and use that? The host said yes. So four days later the park ranger yelled at us. We stated that we were to use a special soap as to not hurt the soil. We stated that the people next to us had a little pool, didn't matter. He almost fined us. The day we were leaving the campground host was washing his camper with soap. That is not fair. Call the Corp of Engineers to complain, no luck. Drive the extra hour and stay at Devil Den Campground. We spent a full day there, perfect campground had pool, cafe, lots of showers and very clean. We camped at Prairie Creek COE in a Travel Trailer. Are you affiliated with Prairie Creek COE ?